Rain's Choice Vanilla Sugar is one of our most popular products! It's fantastic in cold beverages, hot beverages and party drinks. It's delightful on fresh fruit and brings sparkle to pies, cookies, scones and more! Use vanilla sugar in cold beverages such as lemonade and fruit punches, add to hot beverages such as lattes, espresso, cocoa and warm milk. Ideal to flavor party drinks or to rim glasses for cocktails. Sprinkle vanilla sugar over cookies, scones, sweet breads and pies before baking, on French toast or cinnamon toast, pancakes and waffles (or add to the batter), and blend into cookie dough. 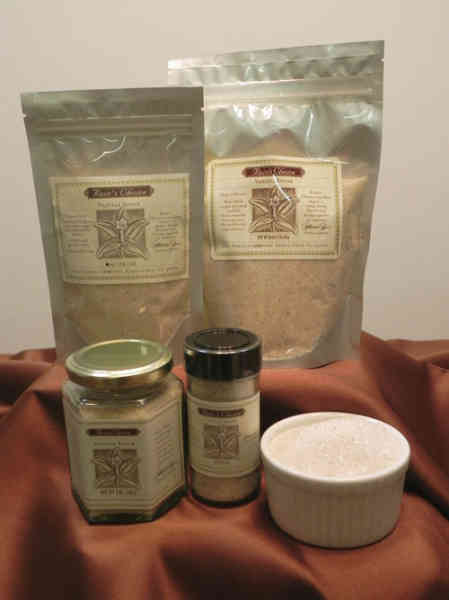 However you use it, you will love the sparkle and flavor of Rain’s Choice Vanilla Sugar. Ingredients: Certified Organic pure cane sugar, pure ground vanilla beans. No artificial ingredients. Non-GMO. Gluten-free.